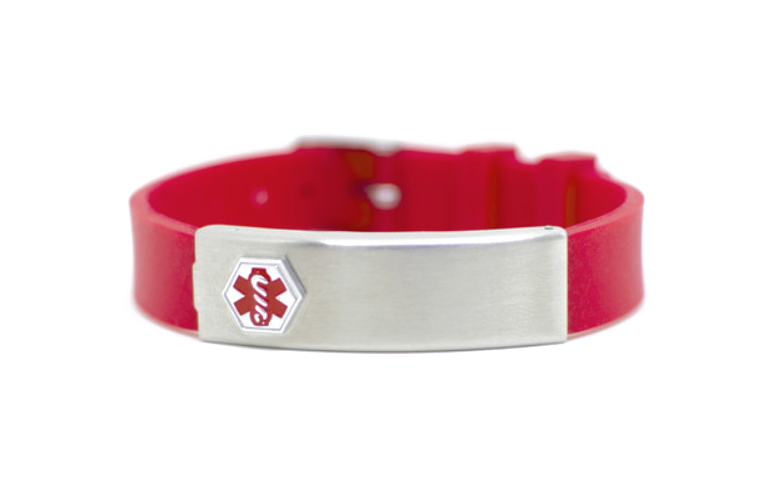 This red rubber silicone medical ID bracelet has a stainless steel compartment to store your medical information on a waterproof paper insert. The watch style band with buckle fits wrists from 6.0 to 7.75 inches. 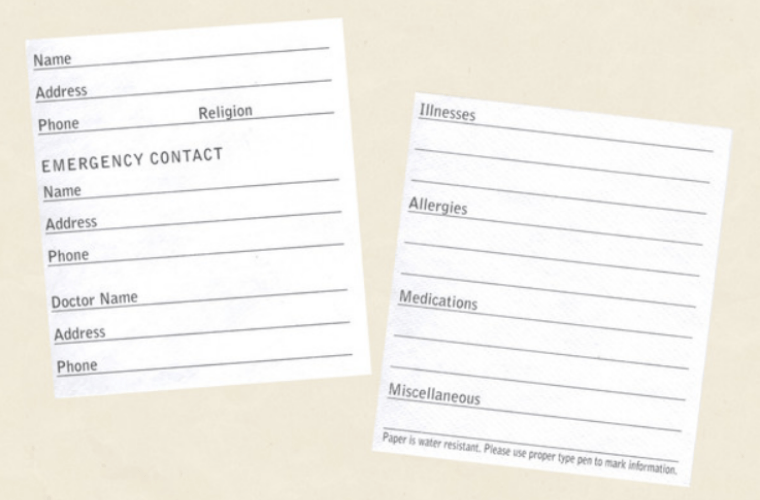 Medical alert wallet card included. The bracelet also comes with a small paper insert so you may store your medical information in the bracelet's compartment that opens up. May be engraved on front and/or back as well. Perfect for my daughter. It's the only bracelet she will wear.